The iPad is another amazing invention by the Apple brand and it is ranked high up the charts when it comes to tablets. With notable varieties such as the iPad Pro, which is the most powerful Apple tablet on sale, and the most expensive as well, it can do almost everything that Apple has invented till date. So if you are looking for a way to secure your iPad in one place and concurrently enjoy a hands-free control of your device, then you have landed on the right article. 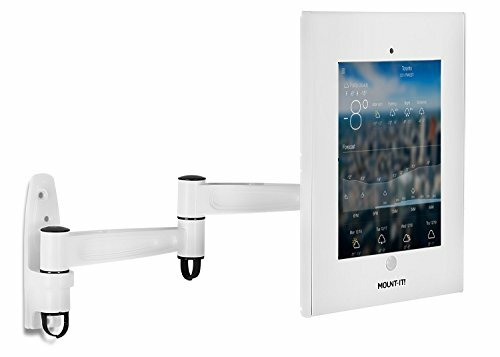 Below is a list of the best wall mount for your iPad. Model your iPad to your modern home with the CTA Digital 2 in 1 wall mount and stand. Its sleek and aluminum body fold closely, making it easy for storage and portability. With its two easy mounting stand cradles, it is easy to install, and gives you the freedom to choose from three different display modes; wall, under cabinet, and tabletop. The CTA Digital wall mount is designed with a rotating headpiece that gives optimal 360-degrees viewing angles. 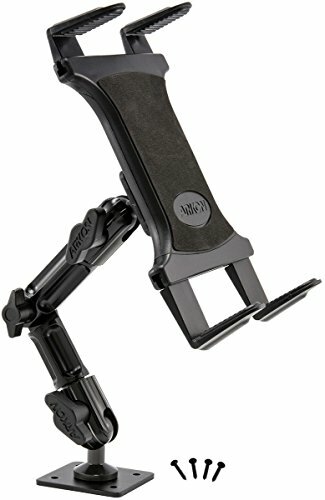 It also provides tremendous stability and is equipped with a quick-release button to free your iPad. A perfect solution if you’re looking to keep your device safe and secure at one point. The solid steel iPad case has a durable lock system for security preventing any scenarios of theft or tampering. It is also very easy to install and use, you simply attach the mount to the wall with the included equipment. With its cable access ports, it keeps your space organized and free of messy cables. It user-friendly and convenient for public use by giving access to the screen and home button without removing your iPad from the mount. 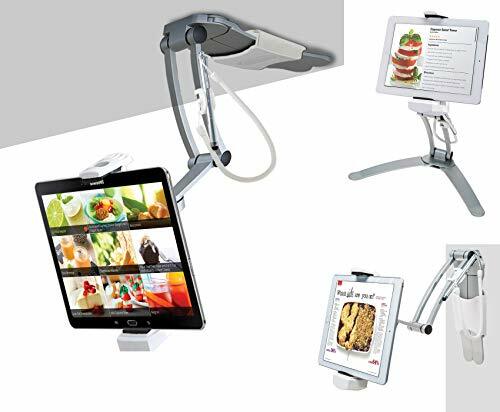 The wall mount by Mount-it is compatible with most iPads. 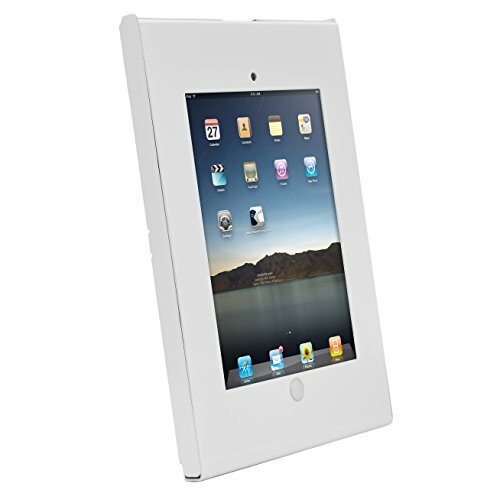 The Koala iPad wall mount by Dockem is another spectacular wall mount for your iPad. With no screws or holes required, it provides an easy damage-free setup in less than two minutes. All you need is the 3M Command Adhesive Strips that are included. Installation is intended for smooth and flat surfaces. In addition, it can be set either as landscape or portrait for comfortable use. This model gives free access to all ports and buttons and has built-in cord clips to keep your cables organized at all times. 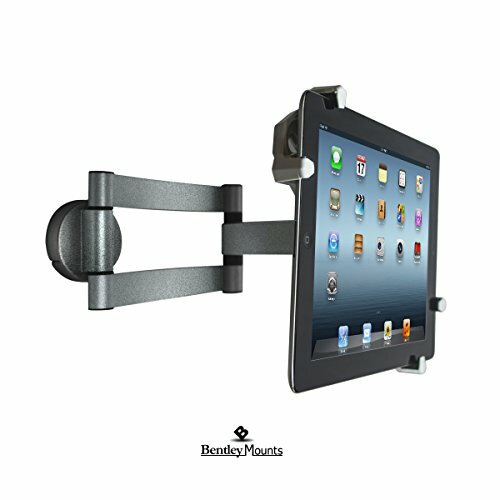 The Bentley Mounts is among the most notable wall mounts when it comes to tablets. Being Amazon’s choice, it is something worth checking out and even buying. 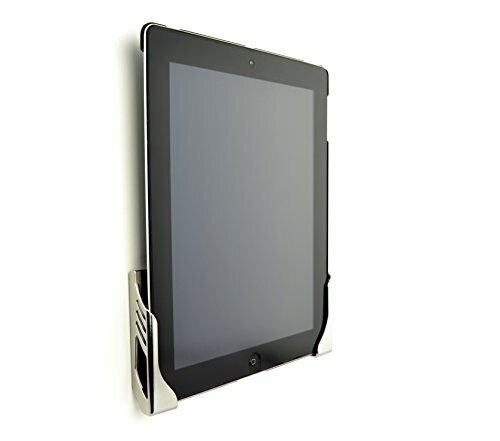 This model is built with aluminum and plastic to securely support your iPad firmly on the wall. READ Best Wall Mounts for the Amazon Echo Show. It is equipped with a swivel arm to for a maximum swivel of 180 degrees, a full table rotation of 360 degrees and a tilt allowance of 45 degrees on either direction for maximum flexibility and viewing pleasure. This unit is compatible with most iPads and other tablets. 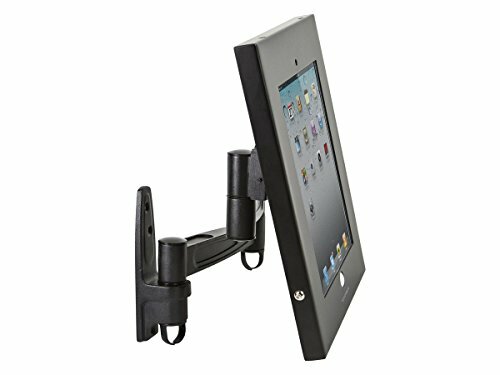 The iPad wall mount by Monoprice is a worthy addition to this list. It has a sleek and contemporary look which blends in well in any environment you use it in. This model has a secure anti-theft design with the inclusion of Allen keys that locks the unit to keep your iPad safe from any theft or tampering. Additionally, it is easy to use and install. You simply need to attach the wall mount to the wall with the included hardware. Its openings on the enclosure of the mount provide access to power cords to keep a clutter-free experience. The Pyle iPad wall mount is suitable for installation on any kind of wall, unlike most tablet wall mounts which require a smooth and flat surface. It is made of durable steel to keep your device secure at all times so you don’t have to worry about your device being damaged. It also gives you the option to choose between landscape and portrait to fit any desired display. This model is compatible with most iPads. Arkon is a common name to hear whenever tablet mounts are discussed its iPad wall mount just took it to a whole new level. This unit presents a spring-loaded design that makes it easy to insert or remove your device with a single push of the holder’s legs with one hand. It is equipped with an adjustable arm and swivels for optimal swivel and rotation to provide you with a wide range of viewing options. It is also compatible with other tablets between 7 to 18.4 inches.